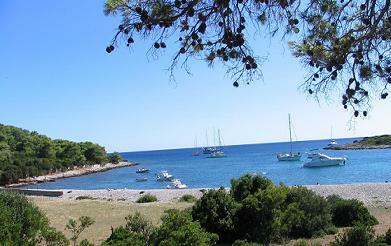 Regular charter period in Yacht Charter Croatia is 7 days, from Saturday to Saturday. Check in is on Saturdays in the afternoon and returning from the rental on a Saturday morning. Time that remains between the handover on Saturday, serves to check and clean the boats, as well as to prepare boats for the new hire. If repairs are needed on the yacht or replacement of inventory, is being carried out in the period between check-out and a check-in for new guests. In that short time from Saturday morning until Sunday afternoon, employees of all charter companies give their best to prepare boats for the new charter. Apart from the rental of 7 days, you can Rent a boat in Croatia for a long period of 14, 21 or more days, but charter usually begins and ends on Saturday. Of course, we can offer shorter charter periods, leases of 10 days or weekend charter in Croatia, but it must be arranged in direct contact with the agent. Such kind of short charter period is possible mainly in the low season, and depend on the availability of charter boats.